TDS TV on Demand has got something for everyone in the coming weeks, including some of the most critically acclaimed films of 2015. Whether you are looking for something for the kids, a blockbuster action flick or wacky comedies, we have what you’re looking for. 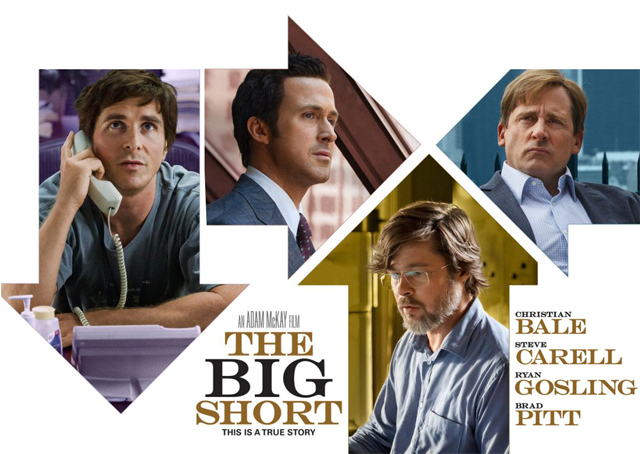 Smart, witty and engaging, the award-winning “The Big Short” is one of last year’s best films. The movies details the 2008 housing implosion, following those who not only saw the crash coming, but profited from it. The filmmakers skillfully manage to explain the complexities of the situation as well as make a riveting and entertaining movie. Brad Pitt, Ryan Gosling, Steve Carrel and Christian Bale star. Available March 15. There’s not anything special or original here, but the latest “Chipmunks” film delivers plenty of laughs for the little ones. Like the previous “Chipmunks” offerings, adults will likely find things a bit boring (or maybe annoying). Available March 15. Outstanding romantic drama about an Irish immigrant (Saoirse Ronan) who arrives in Brooklyn in the 1950s. Ronan (who was nominated for an Academy Award for her performance) is captivating in the lead role of a young woman caught between two worlds. Available March 15. Subtle, beautiful romance about two women drawn to each in the 1950s. Stars Cate Blanchett and Rooney Mara (both nominated for Academy Awards) deliver nuanced and memorable performances that will break your heart. “Carol” is slow at times, but it is never dull. Available March 15. Silly, funny – and at times – poignant film about two sisters (Tina Fey and Amy Poehler) who decide to have one last blowout party at their childhood home before it’s sold. Crude and often very funny, the film really succeeds on the shoulders of its two talented stars. Available March 15. Breezy, fun but predictable comedy about a nerdy man (Will Ferrell) struggling to connect with his stepchildren. When the kids’ cool biological father (Mark Wahlberg) shows up, the competition between the two goes full throttle. Available March 22. The saga of Katniss Everdeen comes to a grim, but satisfying, conclusion. The film really is carried by the fine cast, particularly Jennifer Lawrence as Katniss. There’s really not a lot to say about “Mockingjay Part 2” – if you’ve seen the other installments, you’ll want to take this final ride. Available March 22. Americans in danger overseas. Wednesday, March 16, CBS. Hooray! “The Americans,” one of the best shows in recent years, returns for a 4th season. Keri Russell and Matthew Rhys play a seemingly happily married couple who are actually deep cover Soviet spies. Wednesday, March 16, FX. Who thought murder would be so fun? Viola Davis continues to dominate this wildly enjoyable, if at times uneven, crime drama. Don’t miss the season finale. Thursday, March 17, ABC. Hollywood’s favorite man-child, Pee-Wee Herman, is back with a new movie. The film centers on Pee-Wee’s first ever holiday, which the filmmakers say will be an ‘epic story of friendship and destiny.’ If you loved the earlier twisted films and television shows of Pee-Wee, you won’t want to miss this. Friday, March 18, Netflix. Blind lawyer-by-day Matt Murdock uses his heightened senses to fight crime in this outstanding series. Be aware, the mood is dark and action brutal. All the episodes drop on Friday, March 18, on Netflix. This live special based on the final hours of Jesus Christ’s life will be hosted and narrated by Tyler Perry. 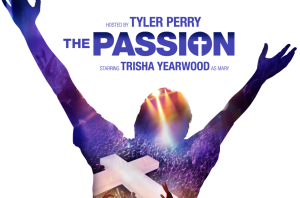 “The Passion” will contain contemporary songs, and star Trisha Yearwood, Chris Daughtry, Jencarlos Canela, Prince Royce and Seal. Sunday, March 20, Fox. One of television’s most enjoyable guilty pleasures is back. This year’s competitors include actresses Misha Barton and Kim Fields, former NFL quarterback Doug Flutie, Super Bowl MVP Von Miller, UFC fighter Paige VanZant, and broadcaster Geraldo Rivera. Monday, March 21, ABC. A private investigator (played by Mireille Enos from “The Killing”) is conned by her fiancé – who she now must track down before he ruins her life. “The Catch” is the latest drama from producers Shonda Rhimes and Betsy Beers. Thursday, March 24, ABC. 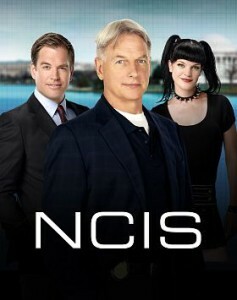 CBS has renewed the long running crime procedural “NCIS” for two more seasons. Star Mark Harmon will be on board, but long time co-star Michael Weatherly will depart after this season, which is the show’s 13th. Fox is rebooting its “24” franchise with Corey Hawkins in the lead role. The new show will be titled “24: Legacy.” The cast includes Ashley Thomas, Miranda Otto, Dan Bucatinsky and Jimmy Smits. Another reboot in the works is “MacGyver.” “CSI” alum George Eads is set to star as the resourceful action hero. Director David Fincher and actress Charlize Theron are producing a crime drama series for Netflix. “Mindhunter” will star Holt McCallany as a serial killer investigator with the FBI. AMC has renewed the martial arts drama “Into the Badlands” for a second season. Academy Awarding winning director Danny Boyle (“Slumdog Millionaire”) will produce a 10 episode limited series about the 1973 kidnapping of Getty oil heir John Paul Getty III. Disney will produce an animated series based on its hit film “Big Hero 6.” Watch for it in 2017. 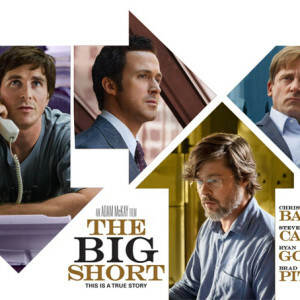 Big Short: Paramount Pictures Corporation and Regency Entertainment (USA), Inc.